Bill Montevecchi is a University Research Professor in the Psychology, Biology and Ocean Sciences Departments at Memorial University of Newfoundland. His interdisciplinary research lab focuses on the behavioral ecology of birds and their responses to environmental change. Funk Island, a small granite outcrop 50 km off the northeast Newfoundland coast, is home to a large colony of Northern Gannets and the world’s largest colony of Common Murres. The island’s remoteness and treacherous access for humans and other terrestrial predators, has allowed these cliff-nesting seabirds to lay their eggs at ground zero. 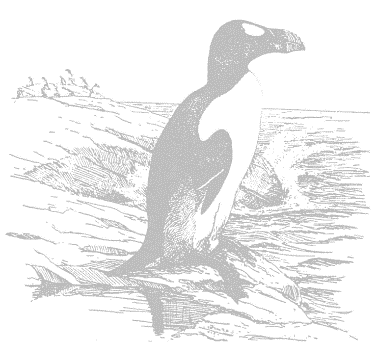 Just over a couple of centuries ago, Funk Island held the largest breeding aggregation of the last flightless bird of the northern hemisphere – the Great Auk or “Penguin” as it was called then. The grassy meadow on the otherwise bald rock has grown upon the composed remains of the many thousands of auks that were discarded by crews that plucked their down for stuffing in mattresses and quilts. 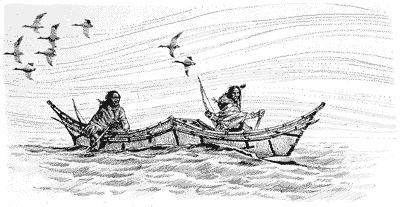 Yet during historical times and well before, another people – the Beothuk also visited Funk Island for different purposes. This talk will explore the co-occurrences of the extinct flightless bird and the extinct indigenous people who have captured my imagination since I first set foot on Funk Island 40 years ago and have been returning every year since. Bill Montevecchi is a University Research Professor in the Psychology, Biology and Ocean Sciences Departments at Memorial University of Newfoundland. His interdisciplinary research lab focuses on the behavioral ecology of birds and their responses to environmental change. He has more than 350 publications, including Newfoundland Birds: Exploitation, Study, Conservation (1987, Harvard University) written with the late Les Tuck. His permanent community exhibition Funk Island Seabirds and the Extinct Great Auk on Fogo Island provides a basis for conservation, educational and artistic activity. In May 2016, the Canadian Partners in Research bestowed him with their Natural Science Ambassador Award. In 2011, Nature NL presented him with the Tuck – Walters Award, and in 2008 Ocean Net acknowledged his efforts with a Local Hero Award. He is a Science Advisor for Natural Sciences and Engineering Research Council [NSERC], the US National Science Foundation, Bird Studies Canada, Nelson Canada, the Wilderness and Ecological Reserves and the Species Status Committees of Newfoundland and Labrador, and is Chair of the Sandy Pond Alliance to Protect Canadian Waters. He has served as a Director of Nature Canada and the Nature Conservancy [Atlantic].